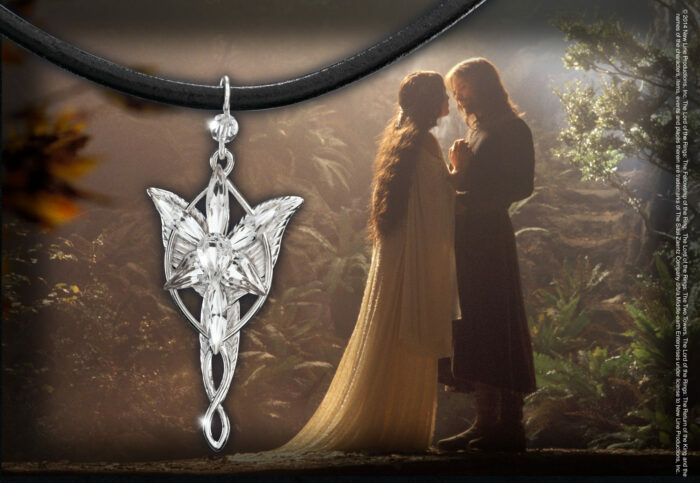 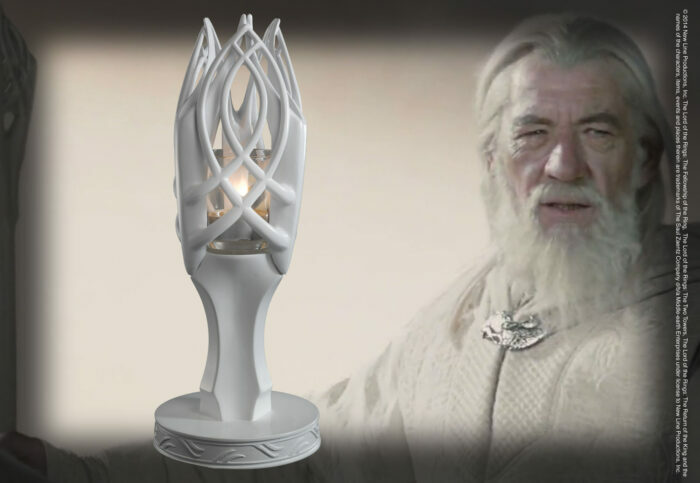 The exquisite spiral staircase and arches of the realm of Lothlorien are recreated in this beautiful candle holder. 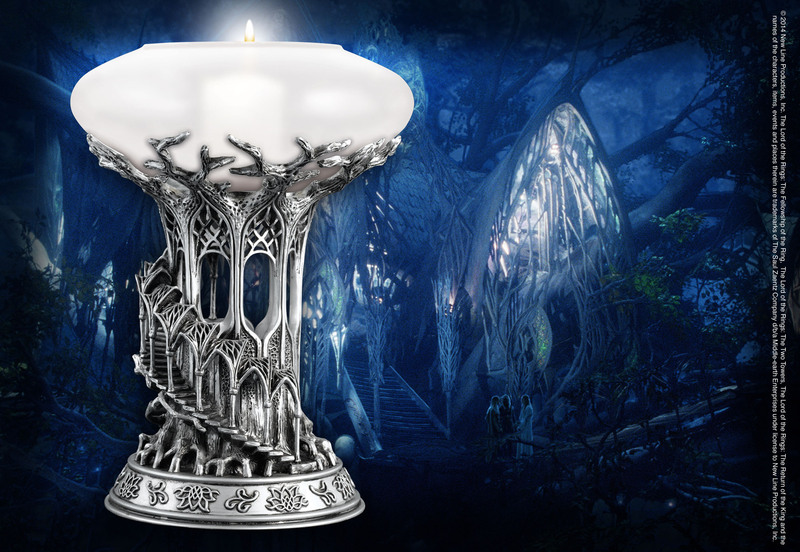 The exquisite spiral staircase and arches of the realm of Lothlorien are recreated in this beautiful candle holder. The frosted glass top holds a variety of candle sizes and can be used to hold water and floating candles. 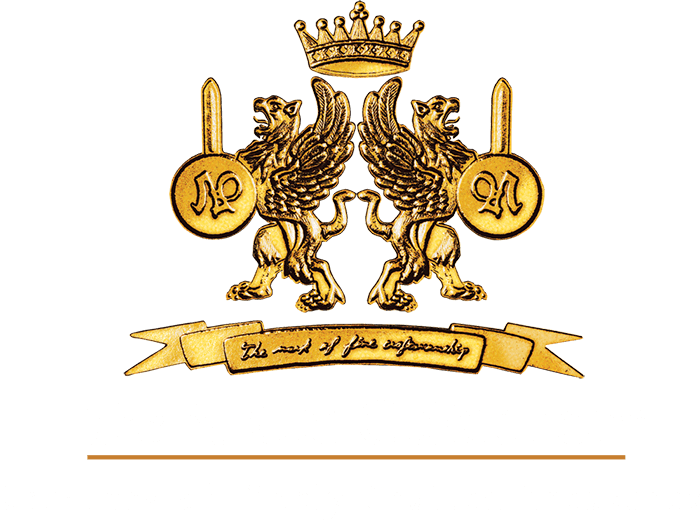 Please take care with the glass bowl as it can be very fragile.